Can cloud computing save you from a business breakdown? Home » MCSA Blog » Can cloud computing save you from a business breakdown? Last month we received a business computer repairs call from a very panicked customer. Their department had been sweating over an important presentation they were set to deliver when suddenly the computer crashed, and hours of work were gone. Luckily, we were able to retrieve most of the lost data, thanks to our expertise in data recovery service, but it’s a situation we see all to often. At the end of the day, computers and hard drives are mechanical items which have the ability to fail, and unfortunately it will often happen at the worst possible time! To avoid having to make an emergency call to have your computer fixed, we recommend using cloud computing to backup your data. From hundreds of office documents, to work presentations, financial information and record keeping, we rely on our computers to manage the most important parts of our business – with cloud computing you can rest assured that it won’t all go up in smoke, even if your computer does. Cloud computing is a way to store your data from your computer, smartphone, or tablet in a secure online location. Most smartphones and tablets already have some form of cloud storage available – iPhone’s backs up to iCloud, for instance – but most business owners don’t consider how much cloud computing could benefit them.. By setting up a cloud storage system you can make sure that if your computer’s hard drive fails, you won’t be left anxiously waiting while we fix your computer to see if your important information can be recovered. Cloud computing also lets you easily share data and collaborate with others on files and documents. For instance, your whole department can work together to create a proposal or presentation for an upcoming event or meeting. All of this can be achieved from multiple devices, simultaneously. We know the security of personal information is very important to our customers, and rightly so. 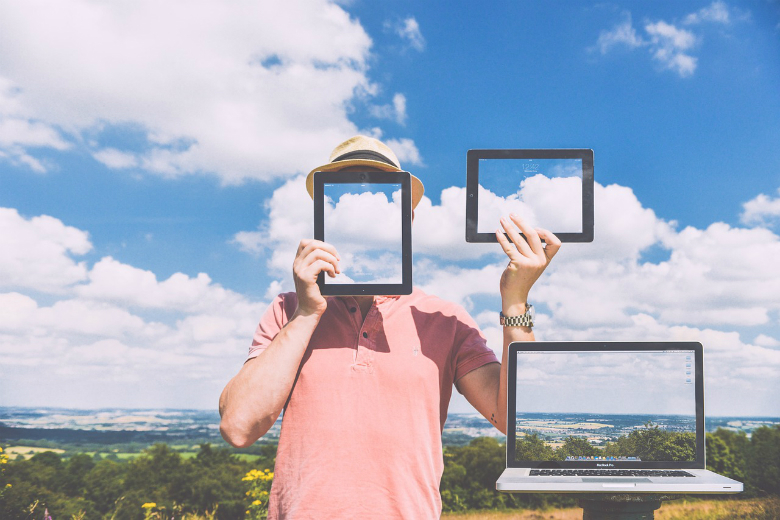 Thankfully, cloud computing companies go to great lengths to protect your data, such as encoding your information with encryption, and employing highly secure authentication and authorisation steps. As home computer repair and security experts, our technicians can work with you to take even further measures to make sure your data and files are completely protected and kept private. Best for: Simple sharing across lots of different kinds of devices. You can store any kind of file in Dropbox, by either uploading to the website or adding it via a desktop app. Simply drag and drop files from your computer to your dropbox folder, and the service can automatically sync your files across all of your devices, so you can access everything, everywhere. Cost: Dropbox for Business has a 30-day free trial period, and after that will cost $17 per month per user. The package includes unlimited storage, full data encryption, and unlimited file recovery. Best for: If you have a Windows PC, tablet and phone, and need to get to your files from any device. OneDrive is Microsoft’s storage option. You can store any kind of file, including photos, video and documents, and then access them from any of your Windows PCs or mobile devices. OneDrive is great because it works seamlessly with Microsoft Office apps, such as Word or PowerPoint. If you are using Microsoft Office 365, you can open a document saved in OneDrive and collaborate on it in real time with other people. Cost: Office 365 plans for business start from $7 per user per month, and comes with 1TB of data. There are several plans available, with options to add more data store amounts. Best for: Creating ‘live’ documents and files for collaboration. With Google Drive, you not only have cloud storage but also a complete set of office tools, including a word processor, spreadsheet application, and presentation builder. You can access files from the Google Drive website, and also download the Drive desktop app for Mac and PC to manage your files from your computer. You can organise all of your files in the desktop app, and they’ll sync with the cloud so you can get to them from anywhere. Cost: For $5 per month, Google Drive for Business gives each user 30GB. For $10 per month per user, storage is unlimited. Are you interested in setting up cloud computing for your business? Our expert business computer repair technicians can help you decide on the best option, and set it all up for you so the whole team can have their data securely backed up across multiple computers and devices. We can also set up the highest security processes so you can rest easy that your files and data are protected. Give the MCSA team a call today.